Kuşadası is a resort town on Turkey’s Aegean coast, and the center of the seaside district of the same name within Aydın Province. Kuşadası is 95 km (59 mi) south of İzmir, and 71 km (44 mi) from Aydın. The municipality’s primary industry is tourism. Kusadasi Turkey is the most popular in Aydin Province, which is located around 56 miles south of Izmir at the Aegean Coast of Turkey. 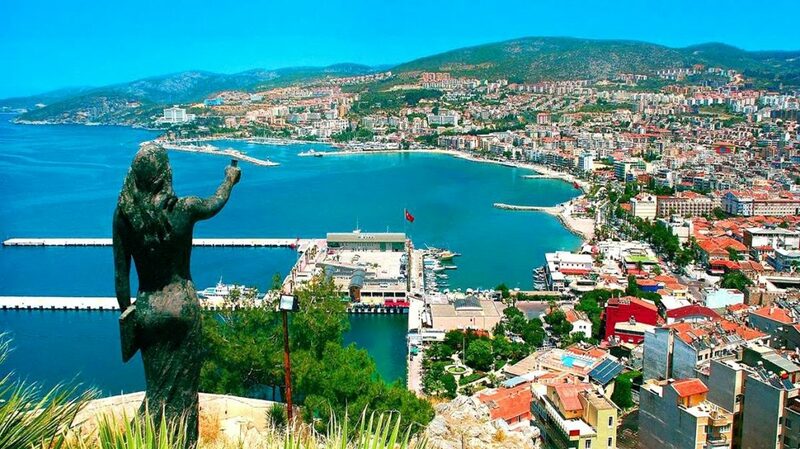 It is called since from an angle from the sea, the peninsula resembles the head of a bird, thus, “kus” for bird and “ada” for island as Kusadasi.. It is usually said Kusadasi is one of the most beautiful cities facing the Aegean Sea since the scenery and landscape of the area is just as fascinatingly beautiful. Kusadasi has been a center of art, culture and history not only of Turkey but also of many civilizations since it was founded in 3000 B.C. 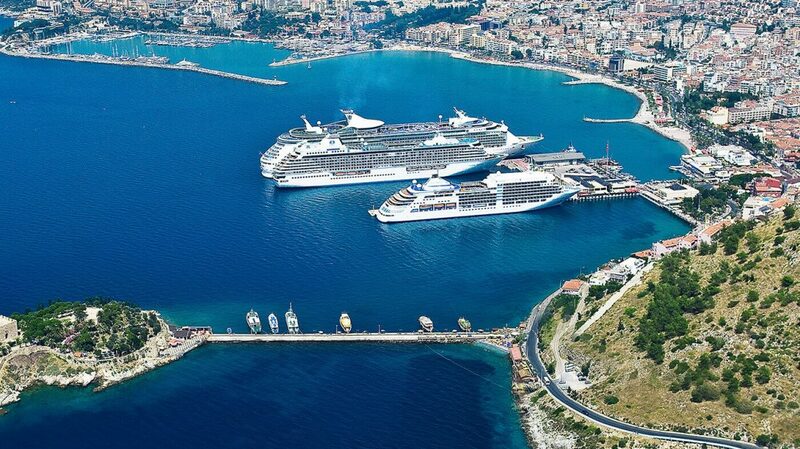 Today, Kusadasi resembles a modern European city. 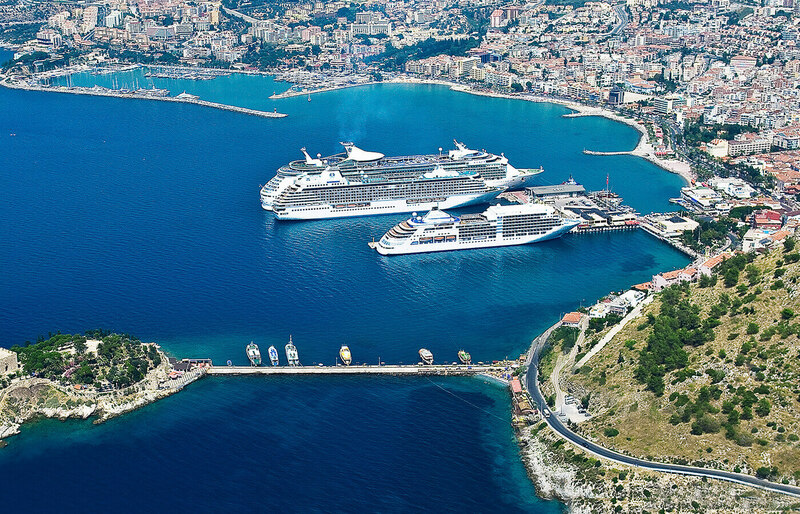 Because of hot Mediterranean climate for roughly 92% of the year, so Kusadasi in Turkey has become one of the most traveled destinations in Europe. The city has an open sea side at the back of the peninsula, where public beaches are located. 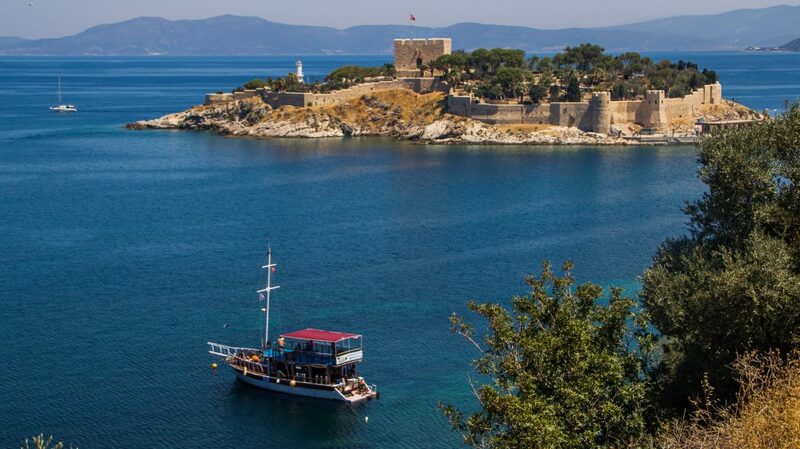 Among the most popular swimming spots in Kusadasi district is the Ladies Beach, town beach, Bird Island Beach and on and on.. What makes the city more alluring to vacationers are its conveniences and luxurious establishments for cheap and late deals to the holiday resort. 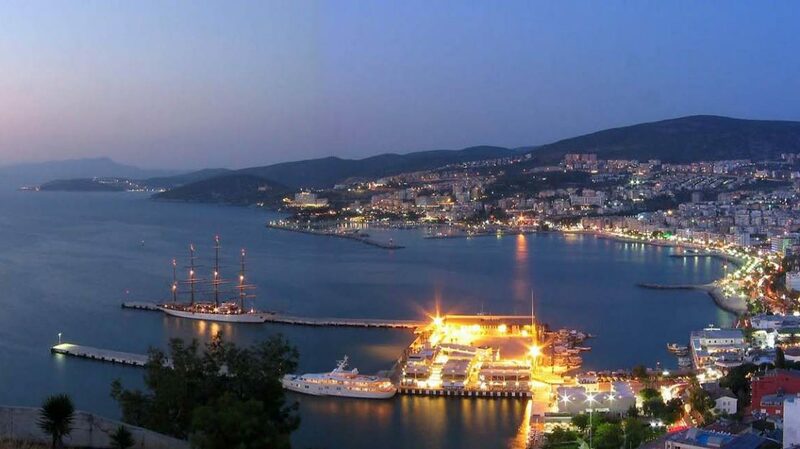 Kusadasi offers top class restaurants, a number of aqua parks, high-starred hotels and beach bars. 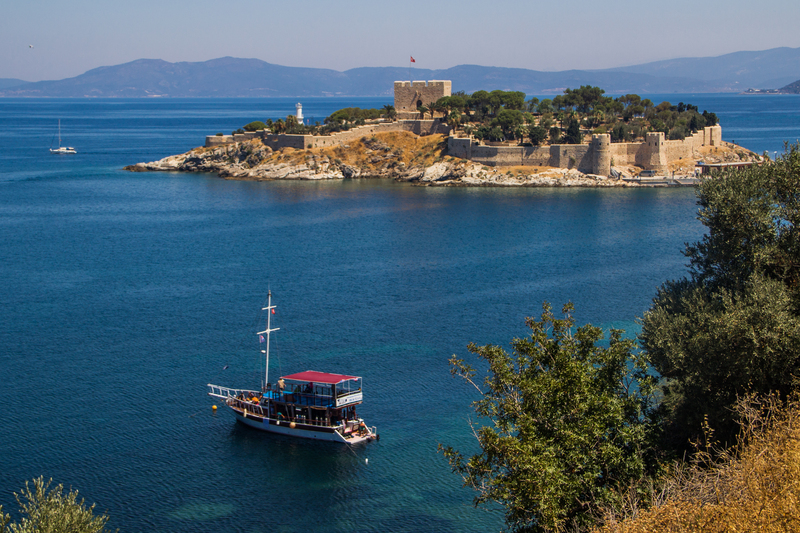 Along with such amenities natural scenery of open beaches lined with palm trees, Kusadasi offers blue waters and clear skies, and historical sites that are memoirs of the past. Nearly everybody speaks english as the second language. 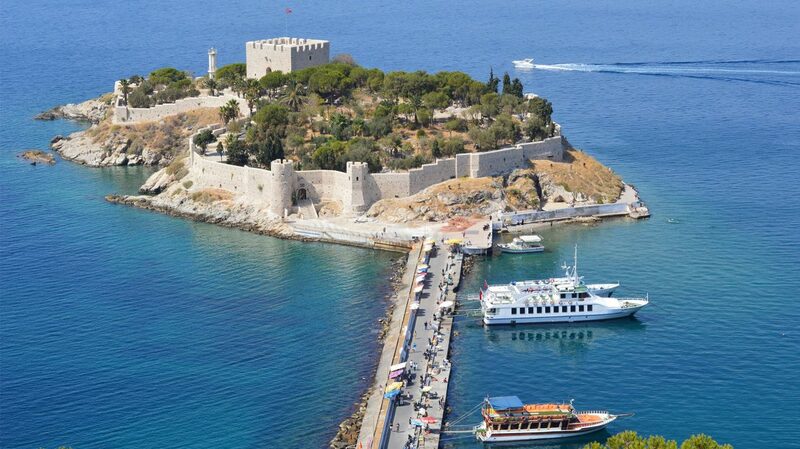 Kusadasi Turkey indeed is a perfect getaway for tourists, truly a wonderful escapade to paradise.